Posted in Uncategorized	and tagged with newspaper page, frame, newspaper, competition, facebook	by Phillip. 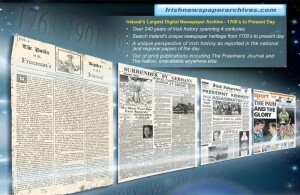 Starting this week you will be able to find the Irish Examiner in our archives. It is a great achievement to have contributed to this project, which now opens another page of Irish history. Posted in Uncategorized	by Phillip. As our last competition was such a success and many of our subscribers participated, we are holding a second one. This week we have a great competition running on Facebook, with an amazing prize. 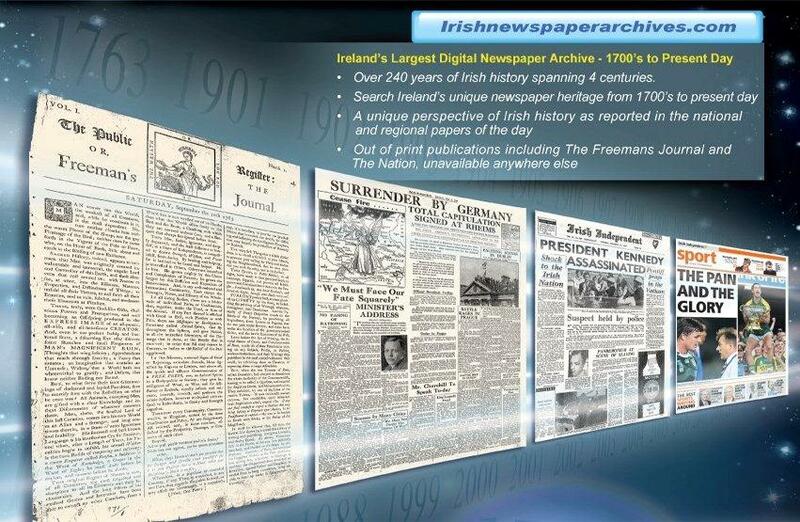 You could win a month’s free subscription to Irish Newspaper Archives, worth €30! So you could have a one month's free access to our archives. We are very happy to announce that starting tomorrow, Friday, the 14th of November, our subscribers will be able to access online a new resource. 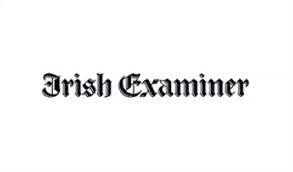 We are adding new content from the Leinster Express (1831 - 1949) to our vast archive, and there will be more to come in the next few weeks. We are running a great competition on our Facebook page for a great prize. 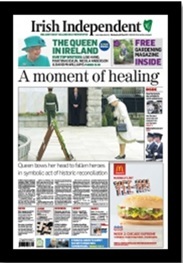 We are giving away an A3 (16" x 11") framed newspaper front page of your choice worth €75. You will be able to select the newspaper, the year and the day. If you are looking for a special gift for an anniversary, birthday, or for Christmas this could be it. Go to the Irish Newspaper Archives Facebook page, LIKE & SHARE the post about the competition and you can be in with a chance to win! The competition continues until Monday the 17th of November when the winner will be announced. Posted in News	and tagged with like & share, irish newspaper, prize, competition, facebook	by Phillip.